What will be the legacy of Race to the Top and Barack Obama's other education initiatives? Indeed, what's been accomplished in education reform around the country since 2012? Does our current traditional model of education meet the needs of most students? Is our curriculum preparing them for the jobs we need to fill in an age of globalization and artificial intelligence? What are the most critical needs for education leading up to 2030? As the United States prepares to elect a new President this November, putting every student on a path towards a successful future should be required discussion at every presidential debate. This season in The Global Search for Education, we bring back our popular 2012 Education Debate series and put these questions and others to thought leaders at the forefront of educational change. 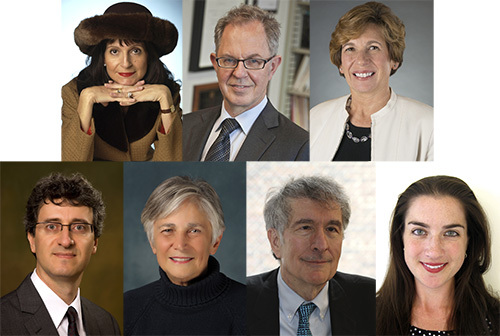 We asked Andy Hargreaves, Diane Ravitch, Howard Gardner, Randi Weingarten, Julia Freeland Fisher, and Charles Fadel to imagine they were Secretary of Education for the new administration. What are their answers to some of the big picture questions facing education and education reform? 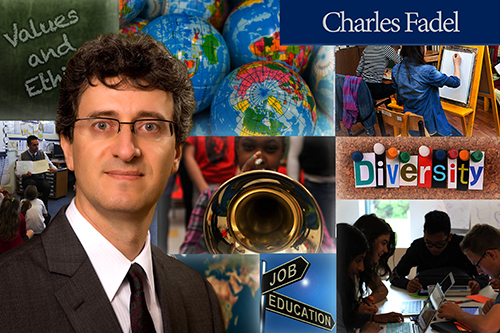 Today we welcome Charles Fadel. Fadel is a visiting practitioner at Harvard's Graduate School of Education, founder and chairman of the Center for Curriculum Redesign, and co-author of a best-selling book titled Four-Dimensional Education: The Competencies Learners Need to Succeed. Charles: What will be the legacy of Race to the Top and Barack Obama's other education initiatives? The new landscape allows states to move ahead at their own rate. The advantage of Common Core was that it can help the weakest performers find a more unified and ambitious floor, but it came at the cost of holding back the better performers from innovating. Although this new landscape may contribute to achievement gaps between best and worst performers, it will also allow experimentation about how to best move forward, which results can then be propagated. Regarding testing, there has been a significant movement back from the punishing aspects of No Child Left Behind which made so many teachers and jurisdictions teach to the test and game the system. There needs to be a balance between accountability and true assessments. But there is also a need to address social issues in a comprehensive way: we should educate parents about parenting itself, and about the need to change both the What and the How of education in order to improve their children's chances. We must offer free day care/Pre-K care of high quality to everyone. We need to offer free psychological support to all students, as early as day care/Pre-K. We should comprehensively compensate for the wealth disparities between schools/towns. We should also significantly increase (2x or more) teachers' salaries in order to recruit people who would otherwise go into other industries, as well as significantly increase teachers' social status via PR campaigns. There is a growing consensus that contemporary education does not adequately prepare graduates for today's and tomorrow's workforce and world. What are your thoughts? Contemporary education is failing our students because we are stuck in a curriculum designed for a different century, i.e. a curriculum that focuses heavily on quantity of testable knowledge. Yet if designed well, curriculum can help lead to more peaceful, sustainable societies, with more economic progress and fairness, composed of people who are fulfilled and happier. Economic inequality is growing, education is misaligned with employment opportunities, and random global violence is escalating. At the same time, we are seeing dramatic transformations globally such as international mobility; shifts in family structures; increasing diversity in populations; globalization and its impact on economic competitiveness and social cohesion; new and emerging occupations and careers; rapid and continued advances in technology and its increased use; rapidly dislocating jobs via automation and offshoring; and new understanding about how we learn. We need to re-examine college entrance requirements (and their tests). They hold change hostage to antiquated and incomplete requirements. Massive adaptation must be demanded by parents and educators alike. Without these changes, we will be unable to adapt curricula to reflect modern needs. The consequences will be more unemployment, social unrest, and continued inability to face our significant planetary challenges. How do we produce a relevant education framework for our students? It starts with creating a framework for WHAT we need to teach, which must be comprehensive yet concise and actionable. The Center for Curriculum Redesign has proposed a four dimensional education framework. Firstly, there is the Knowledge dimension. This is the dimension most emphasized in the traditional curriculum. Yet current curriculum is often not relevant to students and to societal and economic needs. I also believe that this is reflected in many students' disengagement and lack of motivation. Traditional disciplines such as Maths, Science, Languages - domestic and foreign, Social Studies, Arts, etc. are of course essential. However, tough choices must be made about what to pare back in order to allow for more appropriate areas of focus. As an example in Maths, we need more statistics and probabilities, and less trigonometry. In History, we need more focus on topics such as Democracy, and less focus on battles and dates. Modern knowledge disciplines such as Technology & Engineering, Media, Entrepreneurship & Business, Personal Finance, Wellness, and Social Systems need to be added to respond to present and future demands. These disciplines are critical to the modern world and need to be accommodated as a normal part of the curriculum, not as ancillary or optional activities for the fortunate few. It's also essential that themes of contemporary importance should be interwoven throughout knowledge disciplines, both modern and traditional. These include Global Literacy, Environmental Literacy, Information Literacy, Digital Literacy, Systems Thinking, and Design Thinking. Secondly, there is the Skills dimension. 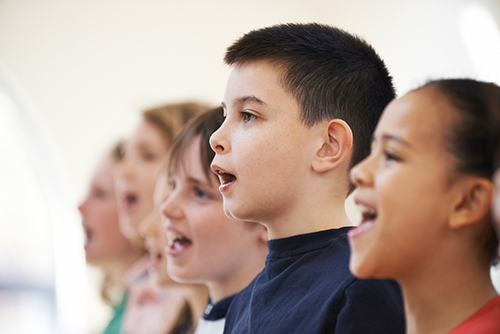 Higher-order skills such as the "4 C's" of Creativity, Critical Thinking, Communication, and Collaboration, also known as "21st Century Skills," are essential for deeply learning Knowledge as well as for demonstrating understanding through performance. The overburdened curriculum makes it harder for students to acquire (and teachers to teach) skills. Additionally, these critical competencies are not being given enough focus because they are not measured by standardized tests. Increasingly, the need for development of qualities beyond knowledge and skills is being highlighted around the world, to respond to the challenges individuals and societies face. How we behave and engage in the world - the Character dimension - is the third component we propose. The essential, generative character qualities are: mindfulness, curiosity, courage, resilience, ethics, and leadership. Each discipline has a certain role as appropriate to develop Character; for instance, one may count on Maths for developing curiosity and resilience; on Biology for curiosity and ethics; etc. Character learning also happens in out-of-school settings such as sports, scouting, adventure trips, etc., which highlights the importance of a broad education. In a world that is constantly changing and challenging we need to pay attention to Meta-Learning -- how we reflect and adapt. This fourth dimension should be regarded as a necessity to be developed deliberately. Meta-Learning lies overarching to the other three dimensions; it concerns the processes related to reflecting on and adjusting one's learning. It includes metacognition (predicting, monitoring, and evaluating one's learning), as well as internalizing a Growth Mindset about one's capacities. Highlighting this critical dimension is in itself innovative. We must also keep in mind that interdisciplinarity is a strong binding mechanism within and between traditional and modern disciplines, and the practices it requires have the potential to impact the Skills, Character and Meta-Learning dimensions as well as accentuate transfer. It sounds like our mindset about assessments also needs to change. We have been stuck on the bandwagon of only "objective" measures, which has kept us focused on Knowledge. It is time to accept, as does the world of work, that subjective assessments are highly valuable if treated carefully. Second, our research on the science of assessments has lacked dramatically behind the needs, and must be urgently developed. 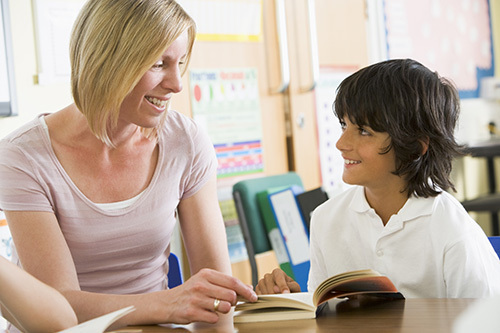 How do we support our teachers given the continued learning we're talking about? Like ALL other professions, continued learning is essential. Many teachers already do this naturally. But the major shift ahead will require comprehensive re-training for both modernized content and engaging pedagogies, and this must be accompanied by major funding of professional development.